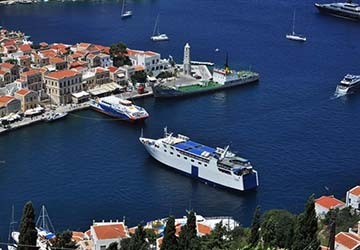 ANES Ferries is a Greek ferry company offering connections from the ports of Volos, Piraeus, Mantoudi and Glyfa on the mainland to the popular holiday islands of the Sporades and Saronic groups. 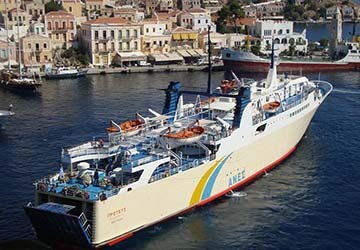 The company was established in 1979 in order to connect the island of Symi with the rest of the country, as there was growing concern the locals would leave. 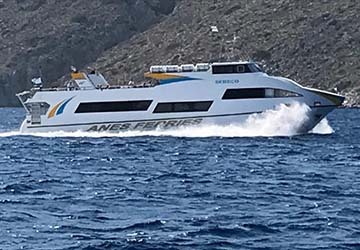 So, ANES, whose full name is Anonymous Ferry Company of Symi, was introduced to increase tourist traffic and support the local freight business. 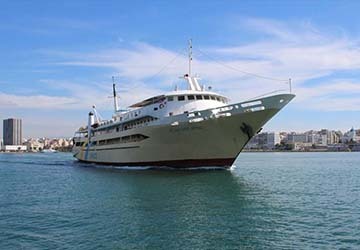 Today, the fully renovated vessels called Proteus and Agios Nektarios make up the fleet, offering a luxurious and enjoyable sailing experience to the Saronic and Sporades archipelagos. Both are large cruise ferries with the capability of holding over 400 passengers and 100 vehicles and, on board, you will find a wide selection of amenities with both outdoor seats and comfortable indoor lounges. The Saronics, given their proximity to Athens, are popular amongst Greeks as affordable excursions in beautiful surroundings, whilst the Sporades, which are further north, offer some of the finest diving spots in Greece. Direct Ferries provides a ferry timetable and price comparison, based on your search criteria, allowing you to compare Anes Ferries products with multiple ferry company timetables and fares in one search. Compare Anes Ferries timetables and prices now with all alternative ferry operators before booking your ferry ticket to ensure you get the best option for your ferry trip.